Her Majesty is The Queen of St Vincent and the Grenadines, a tropical island chain which lies at the southern tip of the Caribbean. Her Majesty is in regular contact with Government ministers in the country, and plays a significant symbolic role in island life: appearing on the nation's bank notes, and as the focus of annual birthday parade celebrations. The Queen is a ‘constitutional Monarch’ in St Vincent and the Grenadines, meaning that she is not involved in the day-to-day business of Government, but she continues to play important ceremonial and symbolic roles. Her Majesty’s relationship to St Vincent and the Grenadines is unique. In all her duties relating to the islands, she speaks and acts as Queen of St Vincent and the Grenadines, and not as Queen of the UK. All new recruits to the Royal Saint Vincent Police Force swear allegiance to the monarch when they join the force. As monarch, she is owner of all state property, for example prisons in St Vincent and the Grenadines are all called 'Her Majesty's Prisons'. 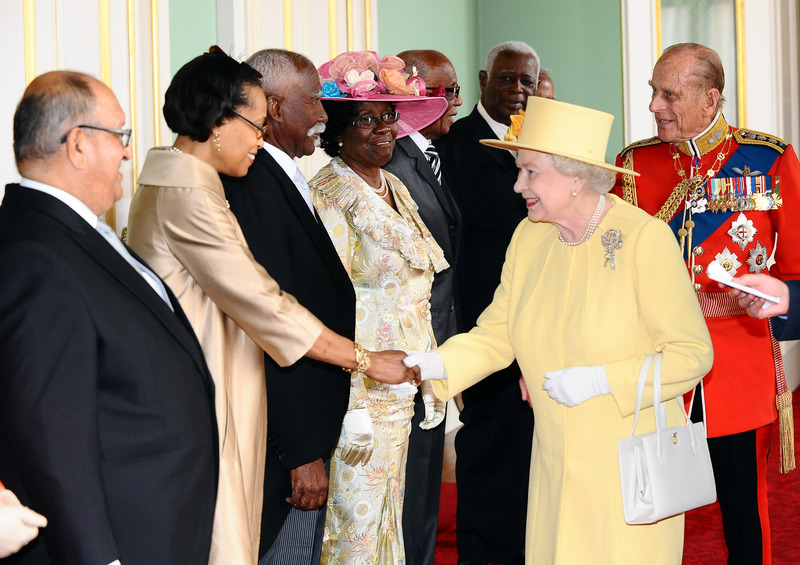 The Queen's Royal style and title in St Vincent and the Grenadines is Elizabeth the Second, by the Grace of God, Queen of St Vincent and the Grenadines and Her other Realms and Territories, Head of the Commonwealth. The Queen first visited St Vincent and the Grenadines in 1966, where she received an official welcome at Victoria Park in Kingstown, the capital of the islands. She also attended a morning service at St George's Cathedral and visited the Colonial Hospital. In 1985 The Queen and The Duke of Edinburgh returned to the islands to attend the Independence Anniversary Parade in celebration of the islands' Independence, and His Royal Highness presented Duke of Edinburgh Gold Awards to young people during a ceremony at Government House. 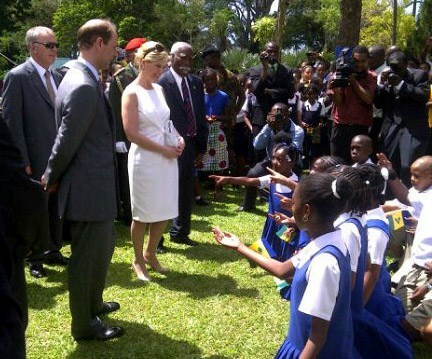 In 2012 the Earl and Countess of Wessex visited St Vincent and the Grenadines to mark The Queen’s Diamond Jubilee. [The Queen] really wants you to know how much she appreciates the fact that you continue to look to her as your Queen and as your Head of State, and she appreciates the loyalty that you have shown to her over all these years." The Earl and Countess visited both the main island of St Vincent and smaller island of Bequia, where they took part in ceremonial tree planting, watched colourful traditional maypole dancing and steel orchestra performances, and The Earl read a message for the realm from The Queen. 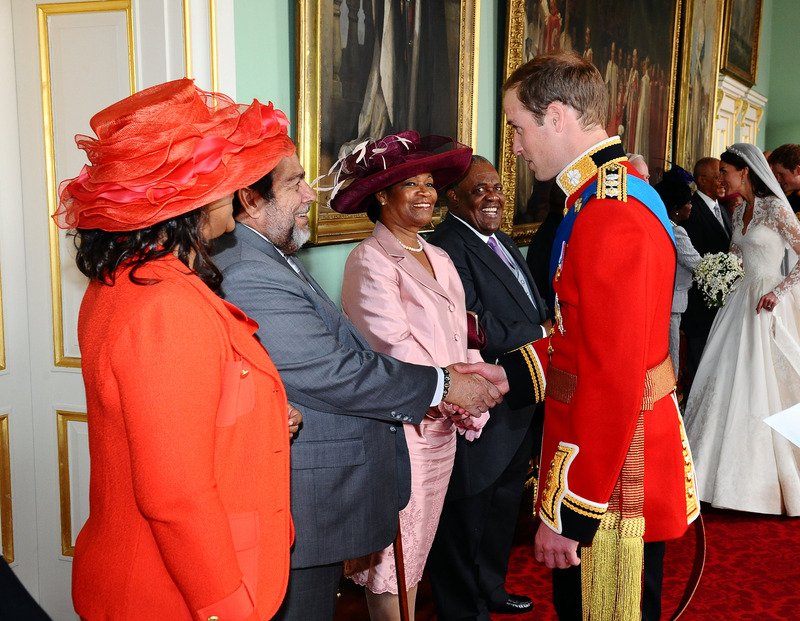 The people of the islands celebrated The Queen's Diamond Jubilee with a three-day flower show and tea party which featured a replica of Her Majesty's crown formed from locally-grown flowers; a photography exhibition of images from all Royal visits to the islands; and participated in the Commonwealth-wide synchronised beacon lighting. During the Jubilee celebrations, money was raised for restoration of the Botanical Gardens and other community projects. ​Prince Harry visited St Vincent and the Grenadines in 2016, as part of his Caribbean visit on behalf of The Queen. During his visit The Prince unveiled St Vincent's dedication to The Queen's Commonwealth Canopy at the Vermont Nature Trail. The list of the first Queen's Young Leaders announced in 2015 included Kenville Horne from the small community of Rosehall, St Vincent. A young father, Kenville rejected a life of gangs to set up a sports programme for disadvantaged children, warning them of the dangers of drugs and encouraging them to fulfil their potential. Kenville travelled to the UK in June 2015 to receive his award from The Queen at Buckingham Palace. After receiving his award, Kenville said: 'Today was one of the most important days in my life, and I felt so proud to represent my country".